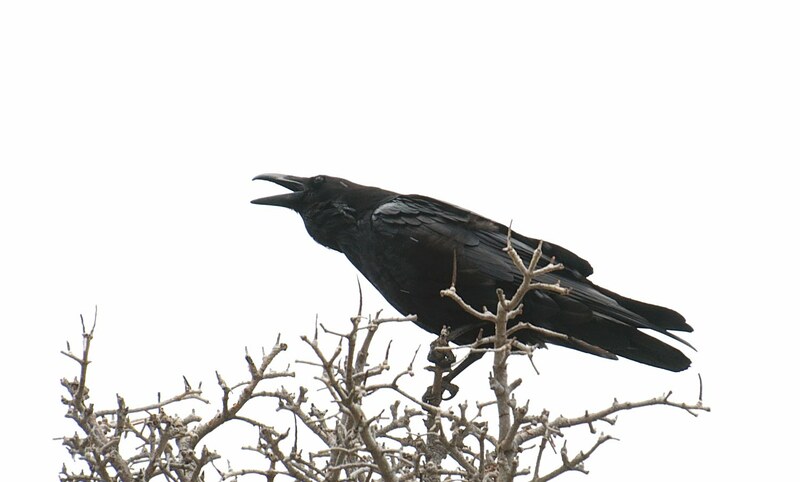 As we proceed into the new year, January has found the Raven in slightly pensive mood as to the direction of my blog, and what I review. Having read fellow bloggers’ reading resolutions, I have decided to come up with a couple of my own…. So, first off, I have pretty much dispensed with my e-reader and consigned it to the interstellar realm of oblivion- a bottom drawer. In my work life I spend my whole day recommending books, proper paper books, and the tactile experience of reading, and that really is where my heart lies. I find it such a soulless experience reading on an electronic device , and more often than not just scan down the screen of text so I’m not actually taking in everything I read, which isn’t right for me, or fair to the authors whose work I’m trying to engage with. So from now on, it will be a very rare occurrence for me to read on an e-reader. Viva la book! I also want to concentrate more on debuts, authors I have not reviewed before, and those strange quirky European delights- a shift of focus that began to a certain degree last year. I will probably post less on mainstream authors as I usually have to read the big new releases as part of my remit as a bookseller, and they are invariably very widely reviewed with a higher profile, whereas I do get a vicarious thrill out of discovering new crime authors and hollering about them. Looking at the next couple of months proof pile, there will be a plethora of debuts hitting this blog! Obviously, I will still enjoy reading and reviewing time with my old favourites. You know who you are…. And I have to make time to read more fiction. I had a spell last year where I read over 20 crime books back-to-back, neglecting my overflowing pile of fiction, and leading to a little bit of crime burn-out. There’s some brilliant fiction debuts winging their way to us over the next few months, I’ll give you an early tip for Anatomy of a Soldier by Harry Parker out in March- the only book that has ever reduced me to tears, and one of the most honest, harrowing and poignant depictions of war I have ever read. Also there’s some great rediscovered classics coming up for air. Currently in the thrall of Thomas Savage- The Power of the Dog from 1967 which is a sublime mash-up of Annie Proulx and Cormac McCarthy. 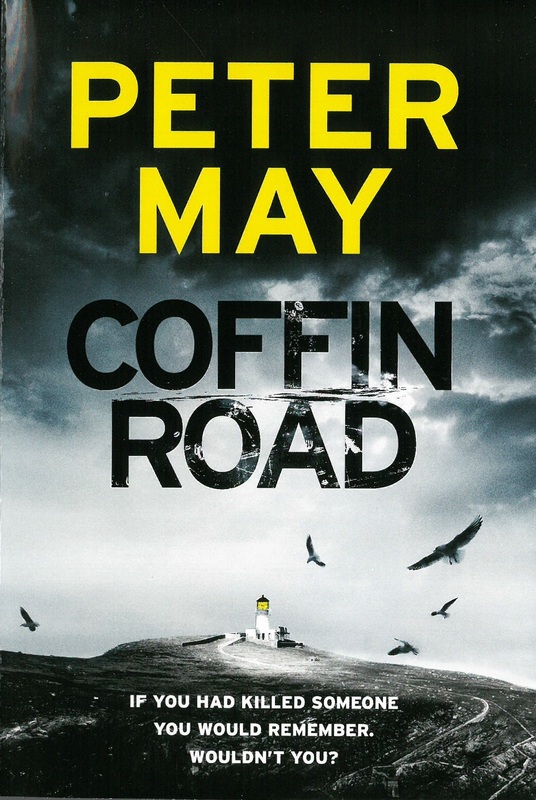 I also read and largely enjoyed Peter May- Coffin Road– a return to the wild outposts of Scotland, with an interesting commentary on the environmental havoc we are waging on our bee populations, alongside an intriguing plotline involving murder and memory loss. Although I didn’t think it was quite as strong as some of his previous books, a Peter May on an offish day is still a delight. 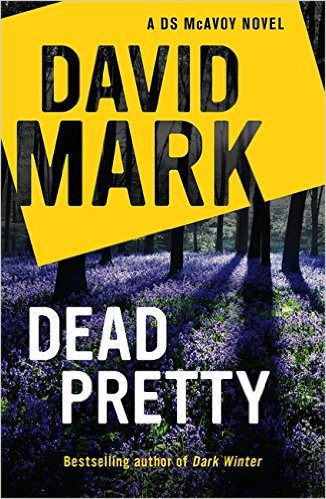 David Mark’s Dead Pretty saw a series going from strength to strength, and it is always a delight to spend time in the company of freckled faced detective Aector McAvoy in Humberside. 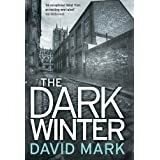 Although I was slightly discombobulated by one of his main characters acting so far out of character, as to be almost unrecognisable, Mark has once again produced an emotional and engaging rollercoaster of a police procedural. 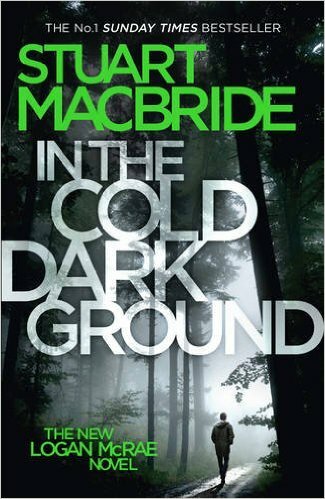 And of course, Stuart MacBride’s In The Cold Dark Ground the 10th outing for the wonderful Logan ‘Lazarus’ Macrae and his ex-boss the acid-tongued DCI Steel. Pathos, violence and humour all the way, and always a pleasure, never a chore. 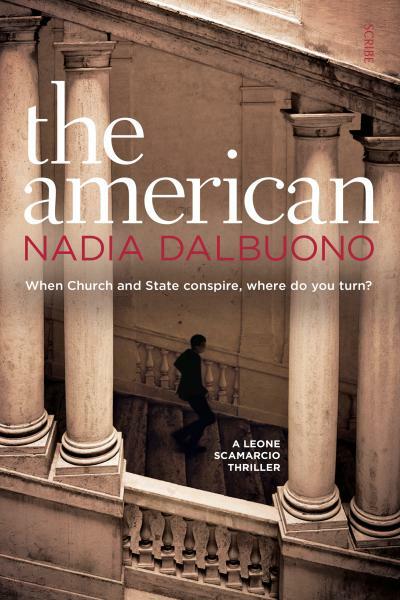 As I have genuinely enjoyed every book I reviewed this month, this was yet again a tough choice, but Nadia Dalbuono- The American has triumphed. With a compelling and quixotic central police protagonist, shifting timelines and locations, and interesting commentary on the nefarious and corrupt grip of the Vatican and the CIA, this intricately researched and gripping tale was an intelligent and hugely satisfying read. Highly recommended and an early contender for the end of the year Top 5. #1. A large percentage of the Icelandic population believe in elves, and in precise statistical terms there are on average 1.5 murders a year. Yes, 1.5…. The elves are invariably convicted. ONLINE REVIEWS: One panel was asked to bring along to their event, their favourite 1* review posted online. Inevitably “the book arrived late” or “the courier dumped it in my next door neighbour’s garden” featured, but my personal favourite was “I wouldn’t even give it to the charity shop”…. #2. One author revealed he has a ‘f**k radar’, to judge the potential response of the assembled throng to potential profanity…. GETTING PUBLISHED: There was a terrific selection of Fresh Blood panels, featuring debut authors, with an incredibly interesting collection of tales about the road to publication. Blood, sweat and tears (and more) featured heavily, but the general consensus was DON’T GIVE UP, the road may be difficult but the end result cannot be beaten, and you will not regret it. The fact that I’ve come back with a list of debut authors to read now is testament to this. #3 It was possible during WW2 to steer a certain make of Russian tank with your feet resting them on another person’s shoulders. Bet not many of you knew that….but why would you? THE MOST HILARIOUS PANEL: Moderated by bon vivant crime and YA author Kevin Wignall, I had a feeling that this one would be full of laughs. 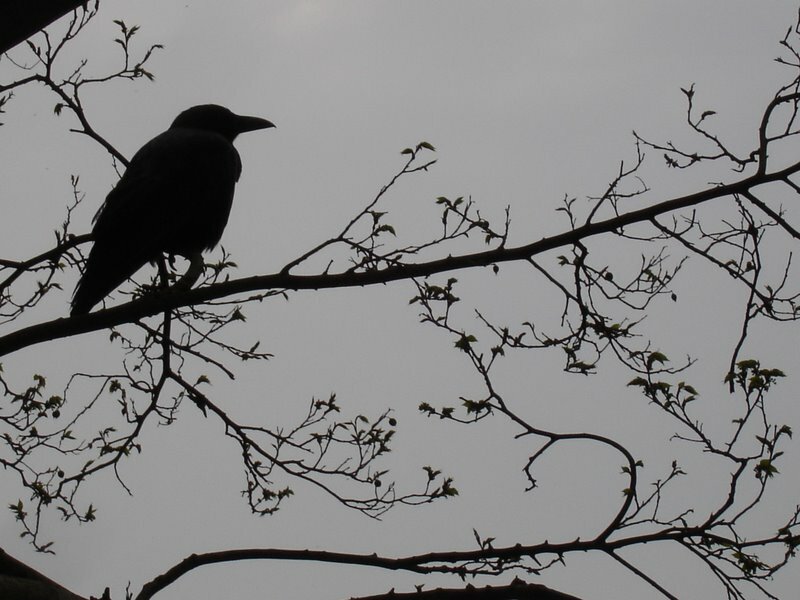 Stepping bravely into the breach were A. K. Benedict, J. F. Penn, Oscar de Muriel Mark Roberts to talk about Things That Go Bump In The Night– the blending of crime with the supernatural. Peppered with probing questions such as ‘Do you have pets and what are their names?’ accrued from Wignall’s children’s events, and the left field responses particularly from the quirky Roberts, this panel quickly descended into comic chaos. Rest assured though, we did find out enough about the panellists’ passion for the supernatural to seek out their books, and a round of applause to them all for the entertainment! THE MOST CONTENTIOUS PANEL: There was an extremely feisty discussion at the Playing God With Your Characters panel comprising of Stav Sherez, Amanda Jennings, David Mark and Linda Regan, moderated by Christine Poulson. When discussing how your characters’ voices and actions dictate how they appear in the plot, we were taken on a strange flight of fancy about how the characters appeared to be real in one case with no control over them whatsoever, pitted against the more down to earth opinion that you control your characters, and use their characteristics to drive and inhabit the central plot. It got a little heated, until tactfully diffused by another member of the panel. But we loved it. 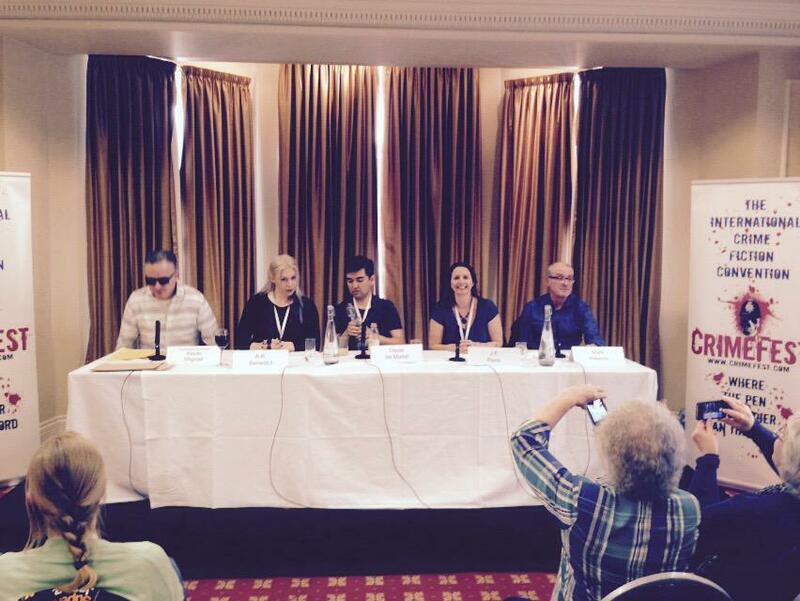 As did, I suspect, others on the panel too. FANGIRL MOMENTS: I’m sure that most attendees had a list of authors that they were bursting to meet, but equally to retain a certain decorum in the face of those that you particularly admire. No squealing. So, in this spirit, can I say a personal thank you to Anthony Quinn, Tom Callaghan, Grant Nicol, Thomas Mogford, Steve Cavanagh and William Shaw, amongst others, for their good-natured and friendly response at being cornered by me trying not to gush about how brilliant they all are. Thank you chaps! (Be sure to check out my reviews in the Reviews 2014/15 tabs). 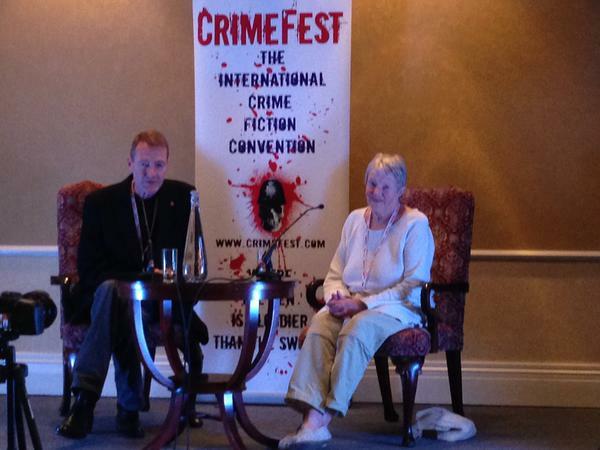 HEARTWARMING MOMENTS: In the interview with Lee Child there wasn’t a dry eye in the house when Maj Sjowall spoke so movingly about the loss of Per Wahloo, and how her writing could not continue without his presence in her life. Also the refreshing wide-eyed and humble response of Ragnar Jonasson at gaining the No. 1 spot in the Amazon book chart, during the festival, for his exceptional debut Snow Blind. It was a delight to witness, and congratulations. On a personal note, I would like to thank William Ryan (I tip my hat to you sir!) , David Mark, Quentin Bates (great curry! ), Stav Sherez (have I met you?! ), Simon Toyne, Steve Mosby and others for remembering me, and greeting me like an old friend, despite not having seen them all for a while. Likewise, the warm glow of meeting up with fellow bloggers old and new, made for an entertaining and thoroughly enjoyable time. We rock! And finally, the hardiness of the Icelandic contingent in the face of a 4am flight from Bristol on Sunday morning, and lasting so long in the bar on Saturday night. Simon and Suzie are two pleasure seekers defined by their flamboyant tattoos. Peter Tressider is a politician on the fast track to the top. DS Aector McAvoy is a policeman with scars to his body and career. Each is marked in their own way. And soon each will be branded by the same sinister foe. I’ve really taken to the character of the slightly lumbering but incredibly thoughtful and moral McAvoy and as I’ve said before it’s nice to see a police character not totally encumbered by the stresses of their private lives or less savoury habits. Despite the small blips caused by his marriage to Roisin who hails from a traveller background, McAvoy has the luxury of being able to pursue his police career relatively painlessly. He is a ruminator to the highest degree, much to the chagrin of his impulsive boss Pharaoh, and has an inherent compassion for people that leads him to not falling prey to snap judgements. He is what is known in the trade as a nice bloke, that consequently makes him an altogether nicer police officer if at times slightly too ponderous. His boss Pharoah, who I have compared in a previous review to a watered down DI Steele from Stuart MacBride’s series, lacks none of this hesitation. She is bold, impulsive, brash and completely brilliant! Her interplay with the diametrically opposite McAvoy is a joy, and transmits a sense of fun from Mark in the way they bounce off each other, but never losing sight of the fact of the effectiveness of their teamwork and this was one of my favourite aspects of the book. As I referred to in my review of Dark Winter, the setting of Hull is perfectly rendered throughout the book. 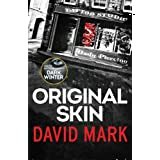 Like other Northern based crime novels, this book reads as a twisted appreciation of a city down on its luck through years of urban degeneration, but still carrying at its heart an indominitable spirit. McAvoy is used as a mouthpiece for this obviously encountering the worst aspects of life that this formerly prosperous city has to offer, but appreciating the essential heart and soul of the city. In reflection of its setting, this is a particularly dark tale drawing on the more unusual activities of people’s sexual behaviour, and I must confess I did enjoy the bloody outcome of a misjudged night of dogging- see now you’re intrigued! As the plot unfolds there are dark revelations indeed emanating from those in positions of responsibility and the unwitting victims of their personal depravations, all hedged by Mark’s firm control of the novel as an entirely satisfying police procedural. Overall a good read and I’m looking forward to the next foray into McAvoy’s world. DS Aector McAvoy is a man with a troubled past. His unwavering belief in justice has made him an outsider in the police force he serves. When three seemingly unconnected people are brutally murdered in the weeks before Christmas, the police must work quickly to stop more deaths. It is only McAvoy who can see the connection between the victims. A killer is playing God – and McAvoy must find a way to stop the deadly game. Hull, East Yorkshire. Two weeks before Christmas, an elderly man – the only survivor of a fishing trawler tragedy 40 years before – is found murdered at sea. In a church, a young girl – the last surviving member of a family slaughtered during the conflict in Sierra Leone – is hacked to death with a machete. A junkie, who fled the burning house where he had set his family alight, is found incinerated on a rundown council estate. Someone is killing sole survivors in the manner they had escaped death. And it falls to Detective Sergeant Aector McAvoy of Humberside CID to find out whom. McAvoy, despite being a six-foot-five, man mountain of a police officer, is not your typical bullish detective. A shy, gentle giant, he is a family man obsessed with being a good and decent cop; more dab hand with a database than gung-ho with a gun – traits that have seen him become increasingly isolated from his colleagues in the force. Desperate to prove his worth, McAvoy knows he must establish the motive behind the killings if he is to have any chance of pinning the perpetrator. And he must do so quickly, as this twisted yet ingenious killer appears to have an appetite for murder. 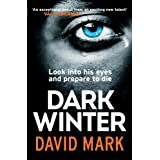 More reviews can be found at It’s A Crime, Eurocrime , Shots and atCimepieces:The Dark Winter.